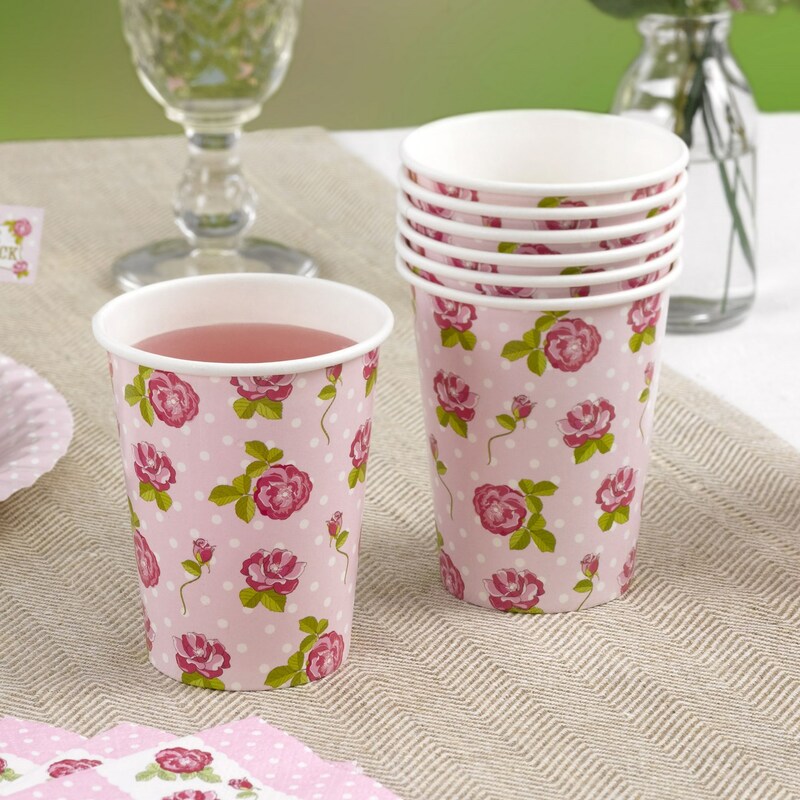 Bring a splash of colour to your party catering with the practical and pretty paper cups in the Vintage Rose range. The cups are decorated with the appealing Vintage Rose floral design, in a pink, white and green palette. With a distinctly retro flavour, these gorgeous cups are ideal for vintage-themed celebrations. Each pack contains 8 Paper Cups.